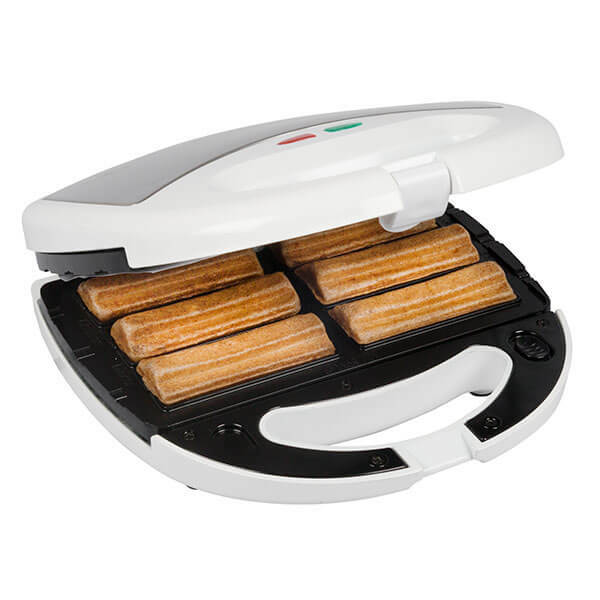 Make delicious churros and empanadas in minutes with the CucinaPro Churro and Empanada Maker! 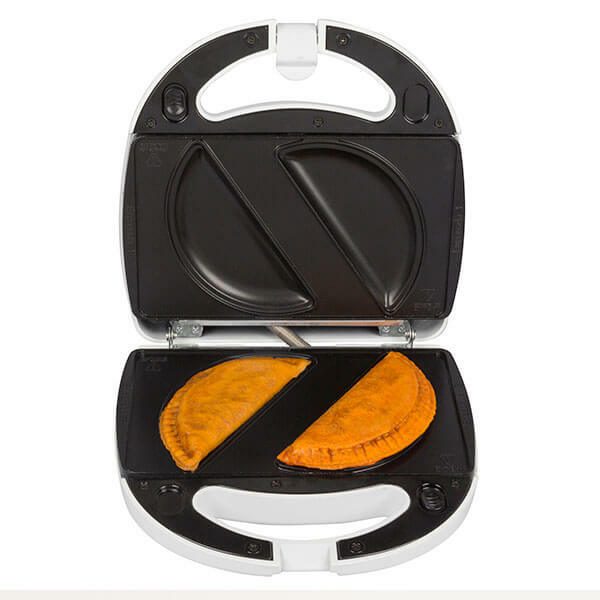 Choose your own favorite toppings and filling for empanadas and make them right at home with non-stick, easy-to-clean, removable plates with extra protection to prevent overheating. 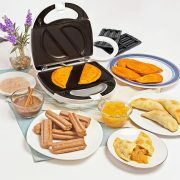 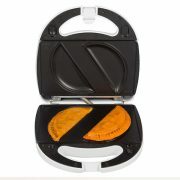 The CucinaPro Empanada & Churro Maker also includes a dough cutter to make the perfect size empanadas. 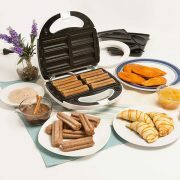 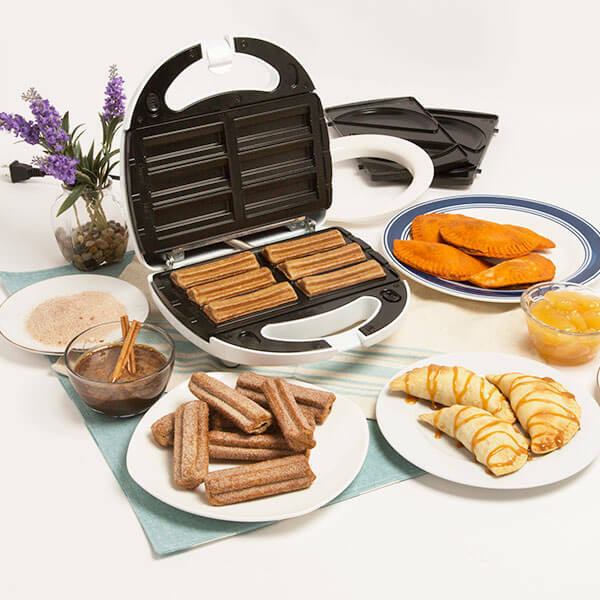 Make up to 6 light and airy churros and two empanadas in this baker that is also dishwasher safe. 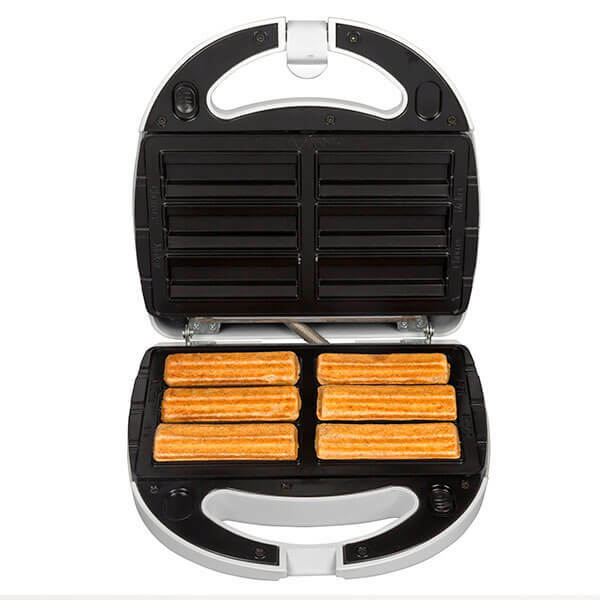 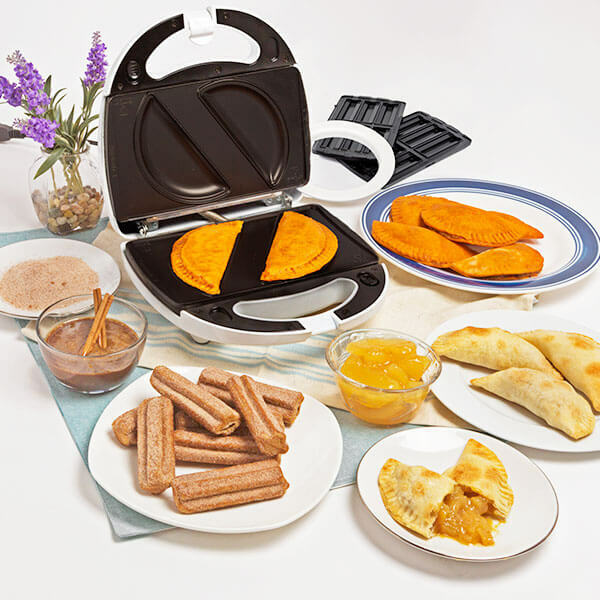 The Churro and Empanada Maker is also a healthier alternative to the traditional frying method, with compact design makes for easy storage.